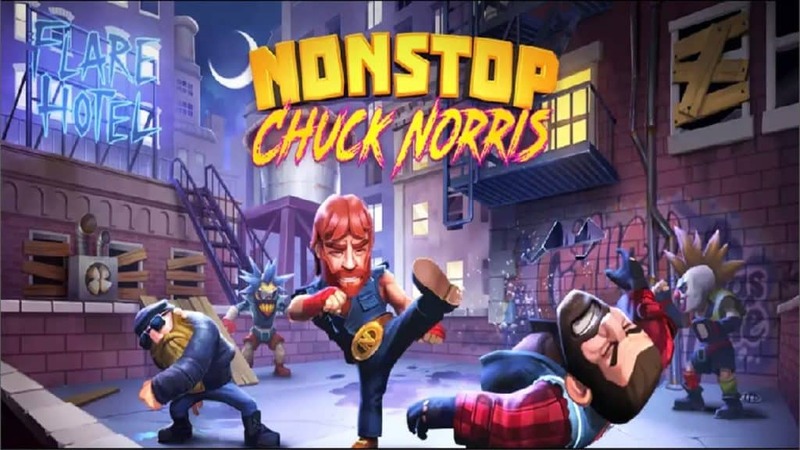 Nonstop Chuck Norris is an action game for Android and iOS devices that lets you harness the unstoppable force, Chuck Norris as he travels through multiple universes, battling an infinite horde of villains and bad dudes while you collect jokes as well as facts about his legendary status. 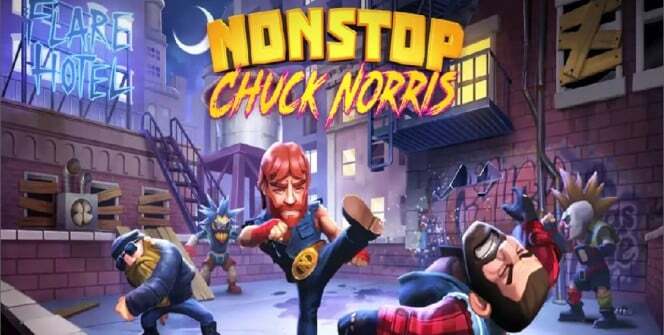 This article guides you through the installation of Nonstop Chuck Norris for mobile to your Windows or Mac OS. Brawl with Chuck’s rivals to save multiple universes. You’ll encounter a boss after every 3 stages. Let Chuck deal with them by tapping the “Fight Boss” button. Note that bosses also have different abilities but if you use the correct moves you are likely to defeat them. The game lets you discover an unleash signature moves like push-up slams and roundhouse kicks. It also features special moves, a perfect example being “gold thunder.” Thunder strikes and makes Chuck jump up & crash down so hard, and at the same time knocks the enemies off kilter, doing them some serious damage. Then “gold thunder” strikes and makes him land so hard to an extent that gold coins literally come bursting through the ground. New missions pop-up on a daily basis. Complete all of them to get extra rewards. You’ll also earn Megaboxes for every 10 missions you complete. You’ll power-up Chuck with insane weapons, such as- chainsaws, foldable chairs, selfie sticks and more. While playing and you see a green arrow on these weapons, know that its time to upgrade them. Don’t forget to upgrade outfits and headwear. Your upgrades should be well balanced for Chuck to be stronger. There are 3 types of consumables, BOSS TICKET, CFORCE WATER and MED-KIT. Use BOSS TICKET to make Chuck challenge 3 bosses in a row, MED-KIT to revive him when any boss beats him down and let Chuck drink CFORCE WATER to cause some serious damage. Note that CFORCE water is ridiculously powerful but extremely rare, so you should use it strategically. When you feel like your opponents are getting too strong, you can use “Open Rift,” which lets you start a new adventure and earn special tokens (a gem bonus plus mystery box or CFORCE water). These tokens can then be used for Chuck upgrades. Note that when you open rift, you’ll lose your equipment such as coins and consumables. At times, you may feel bored of battling the normal bosses. Just join the challenge in a group. To join, you’ll have to complete open rift 3 times. These challenges take place only once per week. 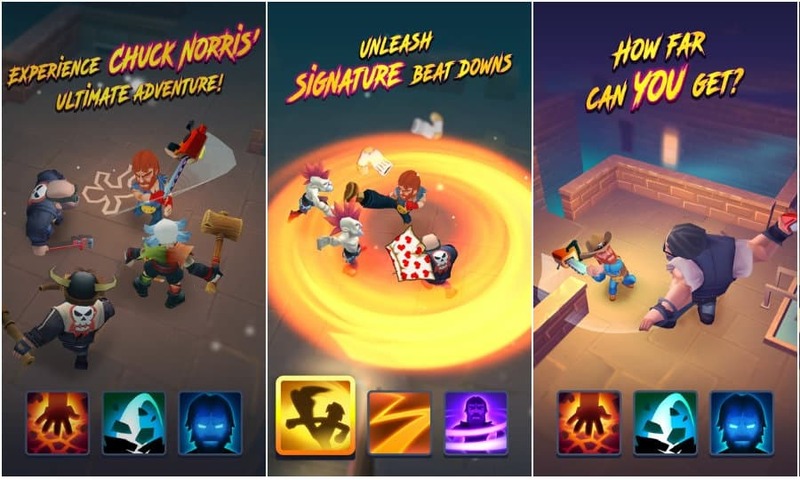 Nonstop Chuck Norris lets you enjoy stress free gameplay- playable even with only one thumb/key. The game is free to download and doesn’t require internet connection to play. However, some game items can be purchased for real money. Download Nonstop Chuck Norris for PC and you’ll understand why its 110% Chuck Norris approved. Sometimes when playing Nonstop Chuck Norris, bluestacks ask you fee to pay but gives you option to download some apps. Every time it asks you just select “Install apps” and continue using it free. I hope you enjoyed this article, please rate and share. If you have problems running Nonstop Chuck Norris on desktop or any other issues, leave a comment below.